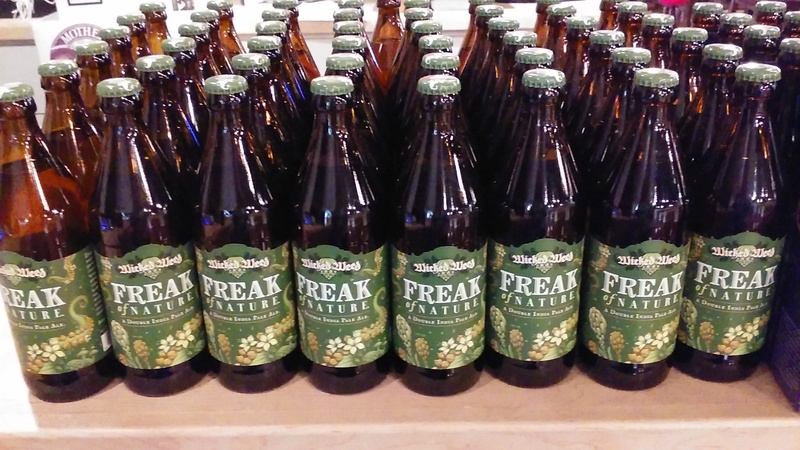 Our local beer shop (RIdgewood Wine and Beer – the BEST beer store in Raleigh) got in the very first regionally available bottling of Wicked Weed’s Freak of Nature Imperial IPA. I may be prone to exaggeration but I promise I’m telling the truth when I say that this beer is the DreadBrewer’s favorite beer in the whole wide world. Like, ever. So I was beyond stoked when I walked in today and saw those beauties on the counter. Though naturally, we didn’t bother with the individual bottles and just got a case. Or two. Now if we can just make them last until our annual Asheville pilgrimage in a few weeks, we’ll be doing pretty darn good. This entry was posted in Brewing and tagged Freak of Nature, IPA, Wicked Weed by BrewsterMama. Bookmark the permalink.